Debris left in the road by careless drivers can be more than just a nuisance; it can be lethal. 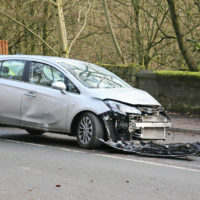 A recent study by the AAA Foundation for Traffic Safety looked at the frequency and effects of such accidents, and offered suggested strategies for preventing road debris crashes caused by a driver’s negligence. The AAA Foundation study used a database of information on police-reported crashes to study accidents caused by roadway debris, using the years 2011 to 2014 as its sample period. The researchers divided the accidents into three categories: vehicles that struck loose items already in the road; vehicles that struck or were struck by items that fell off other vehicles immediately before; and crashes resulting from vehicles swerving to avoid hitting a loose item. The researchers found that on average, 50,658 such accidents occurred each year. These crashes caused 9,805 injuries and 125 fatalities annually. Among the three categories of road debris accident, drivers and passengers involved in crashes resulting from a driver swerving to avoid an object were most likely to be fatally injured. This was attributed to the greater likelihood that those drivers would end up striking another vehicle, a guardrail or cement median, or rolling their vehicle over. In its report, the AAA Foundation offered several suggested strategies for preventing road debris crashes, both as a driver hauling cargo and as the potential victim of such an accident. If carrying large items, such as furniture or a mattress, tie the item directly to your vehicle using sturdy rope or straps. If you’re hauling a number of smaller items in the bed of a truck or trailer, use straps, netting, or ropes to secure the load. Cover all cargo loads with a durable tarp or net to secure the load. Double-check the cargo load frequently to ensure that it has not become less secure along the course of the drive. If you see an item fall from a vehicle you’re traveling behind, avoid the crash if possible, but remember that the safer option may be to slow down as much as you can and strike the object, rather than hit another car, tree, or cement median. Keep a safe distance between yourself and the car in front of you to allow yourself more time to react to an item in the roadway. If you’ve been in an accident that resulted from a negligent or reckless Idaho driver, seek legal counsel to find out if you might have the basis for a personal injury lawsuit, and contact the skilled and aggressive Boise car accident lawyers at Pedersen & Whitehead for a free consultation, at 208-336-2552, and in Twin Falls at 208-734-2552.